The other day I was checking out a website for a comedy club (didn't end up making it to the show, but that's a story for another day...) and I was struck by the design of the site. There wasn't anything particularly fancy about it, but it was colorful and had bold shapes and it made me happy to look at. 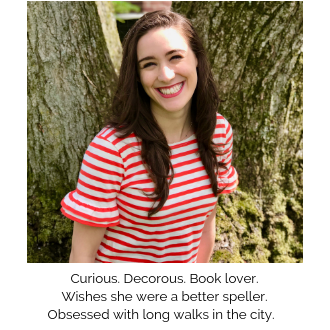 Then I started to think about how seriously we tend to take ourselves and how we can all use a bit more whimsy and fun in our lives. 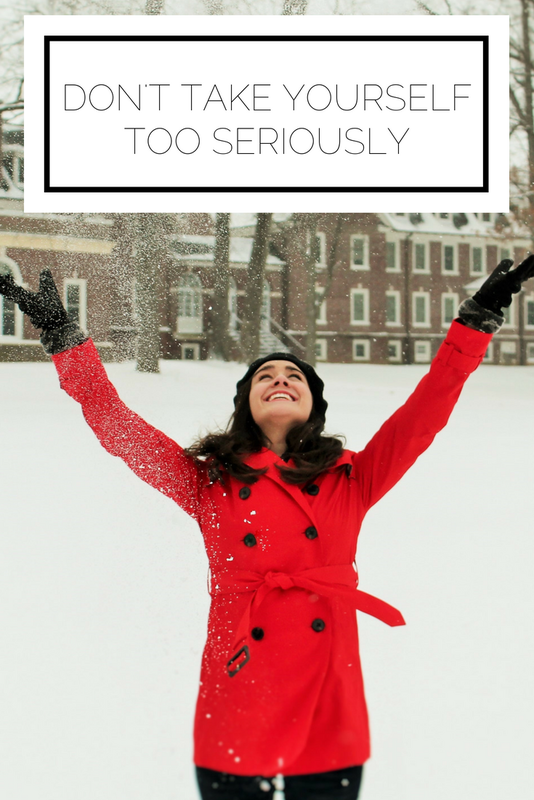 Here are some ways to not take yourself too seriously and incorporate fun into your everyday life. Disney music is good for my soul and I bet you have your own type of music that lifts you up and makes you forget about nearly anything else. I love listening to music on my commute and get so excited when I have a little while at home to host a solo dance party. Making a concentrated effort to change up what you're listening to and embrace what you actually like (not what's popular or what you think you should be listening to) can easily bring extra enjoyment to your day. This is not meant to sound harsh! The fact is, most of us live as the star of a movie in our own heads. We're too focused on ourselves and our own problems to spend much time worrying about what anyone else is doing. That means that you can rest assured that whatever you're taking super seriously and beating yourself up about probably doesn't matter all that much to anyone else. Relaxing in the knowledge that you're doing your best and no one (expect you!) is going to remember little mistakes can free you to actually grow and not get bogged down with taking yourself too seriously. Whether you're into exercising, or dancing, or taking a walk around the block, incorporating fun movements can remind you of being an uninhibited kid. Try roller skating or skipping during you're next workout and channel your inner child for a good reminder that things can be simple. It definitely feels silly for me to write this, but I promise you it's so true! There's something about letting your body do it's own thing that is such a refreshing experience. When you're trying to build up new habits or encourage a mindset shift, having reminders makes a huge difference. For some it may be a post-it note with a funny saying or deciding to jam out while showering each day. 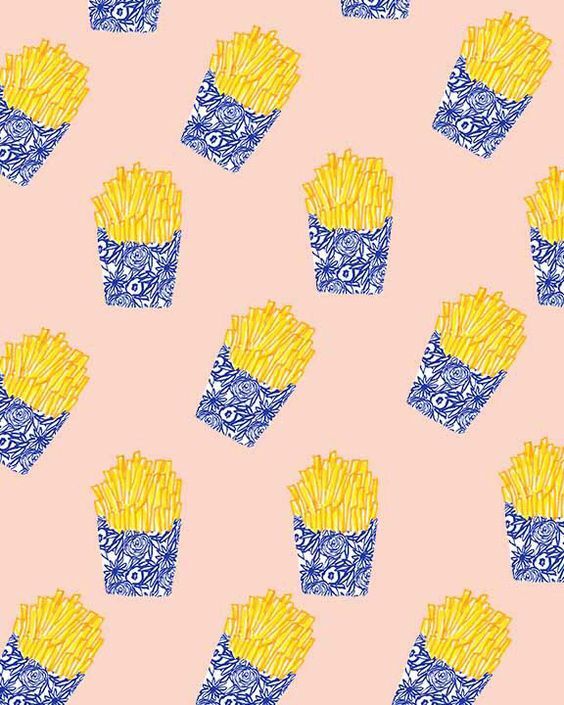 I especially like to change my phone wallpaper and lately I've been loving food illustrations, like this pattern of french fries. Whatever will give you a laugh and make you feel positive is what you want to surround yourself with. This is how I keep myself from getting too serious or and I would love to hear what you do! Are these methods helpful, silly, or the best combination of both?